The DHLSNA is a non-profit academic organization interested in D.H. Lawrence and all his works--poetry, fiction, drama, essays, travel writing, literary criticism, painting, and letters; in scholarship on Lawrence; and in creative works inspired by him. Anyone may join. Unsure of your membership status? Check the Roster. It's that time of year again, and some may have noticed that we began late. Because December is such a busy month and many are away on vacations, we believe that Jan-Feb works better as a Renewal window. Please be advised that this also pushes back the date that the new Directory/Members-Only Password becomes effective. The old password is still in effect until March 1st when it will roll over to the new password. We will be sending out a reminder through the listserve a few days prior. We apologize for any confusion during the transition. Dr. Virginia Hyde (WSU) passed away on Jan. 2, 2019 at the age of 80. A Memorial page has been created to honor her friendships and accomplishments as we mourn her loss. Her family asks that in lieu of flowers, memorials in her name be forwarded to the DHLSNA. Terry Michels, the new interim editor of the "Newsletter," announces "a contest for people who buy or simply read Andrew Harrison's new book "Lawrence in Context." Write a review of one of the chapters. (You can't be it's author.) Keep it short. (Maximun 200-300 words +/-) We will print some of the submissions and announce the prize winner for the best review when the next DHLSNA newsletter goes to press. 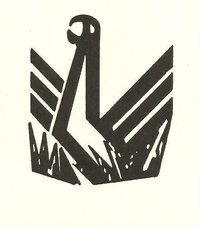 The prize will be a tee shirt my wife Merry made with a Phoenix rising out of the flames. So, hurry up and submit your entry! The contest closes on Halloween (+\-). Use my email.Good luck! The purpose of the Ranch Initiatives is to preserve the legacy of novelist D.H. Lawrence and his wife, Frieda Lawrence. Widely considered one of the most important writers of the twentieth century, the British novelist owned only one piece of property in his lifetime, the 160-acre ranch located some fifteen miles outside of Taos, New Mexico, which was bequeathed to the University of New Mexico by Frieda Lawrence. Fundamental to the mission of the D.H. Lawrence Ranch Initiatives is preservation of the property and historic buildings. The Ranch Initiatives program will seek to place the operation of the property on a firm financial basis and to restore and develop the site so that it can support educational, cultural, and research activities for students, faculty, and the greater New Mexico community. 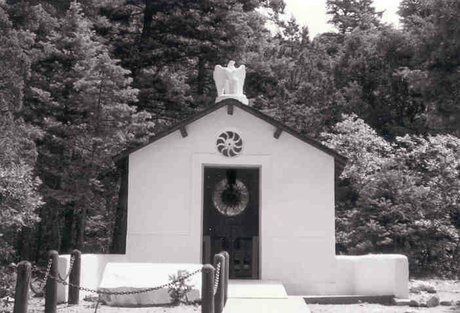 This mission honors the directives of Frieda Lawrence's will, which stipulated that the property "be used for educational, cultural, charitable, and recreational purposes." You can view a brochure with a fundraising plan here. DHLSNA Website Gets a Facelift! Membership Directory is back online & functioning! The website was recently redesigned and updated to better display on a variety of screen sizes and to allow multiple officers to edit our ever growing number of webpages. The old website is currently in the process of being shut down and will remain active through the end of this year with redirect links to this website. The Directory reconstruction is now complete and is open to members. The D.H. Lawrence Review website is next on the agenda for getting a facelift. It was dropped from the host server for a few weeks but is back up now. However, it may take a while before it shows up on search engines again. In the meantime, I've added a link to our sister journal so that it will be easier to find. We have several new webpages including information regarding the Co-ordinating Committee for International Lawrence Conferences (CCILC) and a soon to be written Officers Training Manual to help ease the transition between terms of office and to maintain continuity for our robust organization. With all the duties being integrated through the website, it makes sense to facilitate the learning curve by providing procedural instruction, computer tips, and timelines for the various roles. This will be an on-going project since we are still learning the simplest and most efficient means of running our organization electronically. We hope that all our officers will contribute their experience to help guide their successors. The DHLSNA Newsletter Archive has been opened to the general public. Created by our Newsletter editor, Julie Newmark, this handy reference contains back-issues dating from 1980 through last year. The current year's issues will still be reserved for members only. Links to the 2013 Newsletters are available in the Directory section after login. For the latest issues, join today! * Some new website resources have been added to the Links page including the Salisbury House Blog "D.H. Lawrence: A Manuscript Mystery." * On the History page, we now have a more detailed listing of papers presented at the annual MLA conference. Please submit any digital photos from the conferences or excursions that you wish to share with our members to Tina Ferris. They will be used to create a members-only Gallery page (coming soon) or for the newsletter. 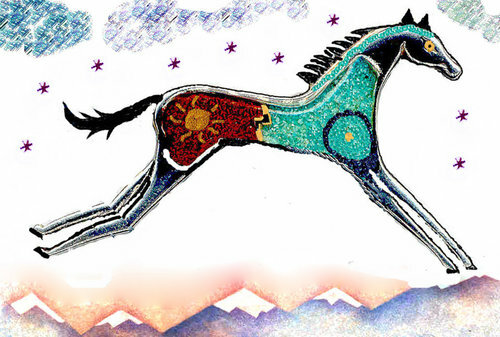 This turquoise horse was used as the logo for the Santa Fe International Lawrence Conference (2005), courtesy of David Barnes. "Dear old Azure Horse, Turquoise Horse, Hobby Horse, Trogan Horse with a few scared heroes in your belly; Horse, laughing your Horse Laugh, you do actually ramp in with a bit of horse sense. I'm all for horse sense, O Horsie!"--D.H.L. "I think New Mexico was the greatest experience from the outside world that I have ever had. It certainly changed me for ever. . . . In the magnificent fierce morning of New Mexico one sprang awake, a new part of the soul woke up suddenly, and the old world gave way to a new. . . ."
Our society Memorial page was designed to honor deceased DHLSNA members and other noteworthy Lawrentian scholars. The DHLSNA made a donation in the names of Masako Hirai and Kyoko Kay Kondo to the Taos Community Foundation fund (in 2010) for preservation of the D.H. Lawrence Ranch. For your convenience, the DHLSNA accepts payment of membership dues and conference fees on our website. Society dues are tax deductible.